With its castles, gardens, rivers, and valleys, Ireland is a combination of breathtaking vistas, gorgeous architecture and wildernesses that seem go on for eternity. 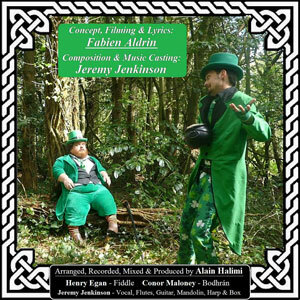 French creative, Fabien Aldrin’s love for Ireland, inspired him to record the song “Green and Beautiful (The Leprechaun Song)”, as well as create an accompanying video showing the country’s beauty. He slept in his car for two months while shooting the visuals and completing the project. 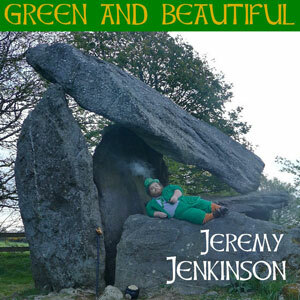 Fabien Aldrin (songwriter, producer and creator), Jeremy Jenkinson (composition and singing) and Alain Halimi (music production, recording and mixing) are responsible for “Green and Beautiful (The Leprechaun Song)”. The question is how does a Frenchman manage to be classic and authentic sounding and not anarchic and messy? So much Irish folk styled music ends up sounding like drunk hippies, if not well done. But this is bright and fun, deep and moving, loud and bold. Well the answer is simple, Aldrin recruited traditional folk musicians and recorded on the west coast of Ireland in Connemara. Hence his song gets the true Celtic treatment. It doesn’t matter a jot if you’ve never been on the N17 motorway or even whether you’ve drunken a pint of Murphy’s Irish Stout. This tune will have you longing for the stone walls and green grass like you were born and reared on them. It’s full of flavor and feeling and none of it is boring or grey. The legendary Celtic/Irish folk song groups are aging and what is left in their place are a bunch of pretty boys and girls who can’t sing but present themselves really well. This is not the case with the Fabien Aldrin project – I’m sure they can present themselves really well, but I know that Jeremy Jenkinson and collaborators can actually sing at the same time. You really get the sonic treatment with these guys. The track has great production values, an infectious tune, a marvelous lead voice, and a surprisingly good instrumental foundation supplied mainly by multi-instrumentalist Jenkinson, who is ably assisted by Conor Malloney (Bodhran) and Henry Egan (Fiddle). The video cleverly elaborates on the narrative, proposing some picturesque imagery, and leaving us with a few morals along the way. Aldrin engaged a bunch of actors, including a leprechaun, just to make sure everything was legit! There are many things the Irish are famous for, not least knowing how to throw a party. From births, marriages and deaths to St Patrick’s Day, rarely a memorable day goes by without an excuse to get together and celebrate. 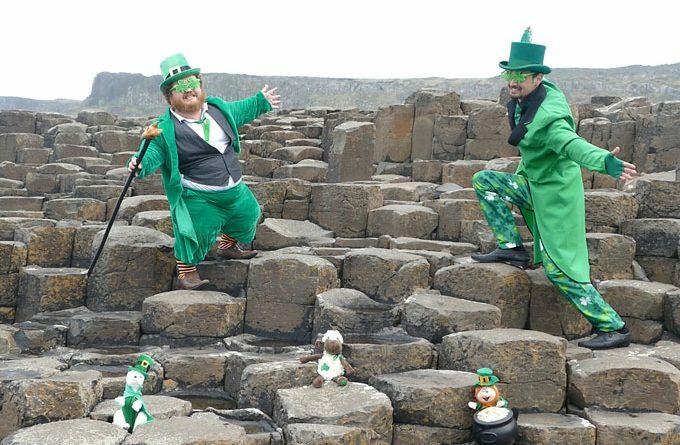 So if you are Irish, part Irish or just love Ireland, and traditional Irish music, “Green and Beautiful (The Leprechaun Song)” will not disappoint you. Inspiring, rousing, and heartfelt, if this doesn’t get your Irish up, nothing will. Cameron Nino is in total control of his talent! Liah Alonso: “Light To The Universe: Remix DJ Taz Rashid” engages the senses!